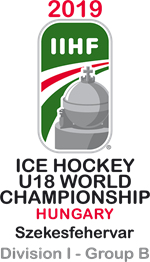 Great Britain Under-18 Women ended the Four Nations Women’s U18 International Tournament in Granada with a narrow 2-1 defeat by Spain after penalty shots. There were no goals in the first period but GB went close on a number of occasions, including a shot from Annabelle Cuss which went just wide. Spain took the lead in the second session when Marta Martin scored from the right circle at 32:13. Britain had cause to feel hard done by when a shot from Emily Harris hit the inside of the top of the goal net but was not given by the officials. GB pushed for an leveller in the third period and Emily Johnson fired wide from the slot on the powerplay, before Charlotte Edgar shot through traffic from right point to equalise (52:53). Britain killed off a late penalty and Jessica Sprules had a chance short-handed when she battled her way from her own zone. Ellie Wakeling was denied twice in overtime on the breakaway as GB came close to winning it in the extra period. Spain claimed the extra point though following a dramatic best-of-five penalty shootout, with Harris GB’s only goalscorer. Head coach, Cheryl Smith, said: “The girls handled everything thrown at them. We talk about a learning curve and that’s exactly what they had this trip. “They will come out of this stronger and better prepared for the World Championship in January. “It’s disappointing to have had the goal not count but that’s hockey. You have to get on with it and not dwell on what happened. Earlier, Hungary U18 Women won the four-team tournament with a 3-2 victory over Poland U18 Women. 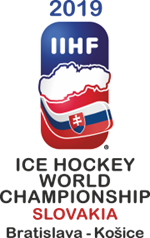 GB now turn their attentions to the Under-18 World Championship Division 1 Group B in Poland in January.